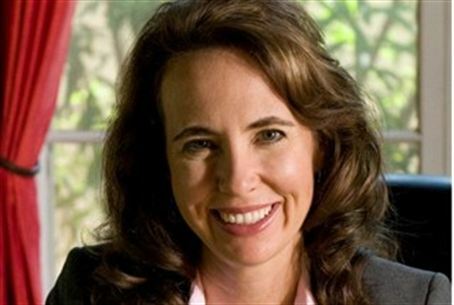 Congresswoman Gabrielle Giffords (D-AZ) is breathing independently a week after being shot in the head at point-blank range. U.S. Congresswoman Gabrielle Giffords (D-AZ) is breathing independently just a week after being shot in the head with a 9mm handgun at point-blank range by a would-be assassin. Officials at Tucson's University Medical Center told reporters in a statement that although Giffords is still listed in critical condition, she is doing well. The Congresswoman, whose father is Jewish, identifies strongly with the Reform Jewish movement (in which patrilineal descent is considered valid for Jewish legal status) and is a long-time firm friend of the State of Israel. Doctors removed a respirator tube from the U.S. Representative on Saturday and instead performed a tracheotomy. The surgical procedure was used to create an opening through which a tube was inserted from her throat into the windpipe to allow her to breathe on her own. The procedure will allow the Congresswoman to talk, and will enable hospital staff to begin to assess her cognitive functioning. Giffords and 19 others were shot in a rampage allegedly perpetrated by 22-year-old Jared Lee Loughner, who authorities believe had focused on the Congresswoman as his primary target. Six people died in the shooting spree, including a federal judge, a nine-year-old girl and Giffords' 30-year-old director of community outreach. Two other Giffords staffers were shot and injured as well. Loughner faces federal charges for the attempted assassination of the Congresswoman, as well as the murders of her staff member and the judge, and for wounding her two aides.